High-Precision Coating | Technology | FUJICOPIAN CO., LTD. Skill that only Fujicopian possesses, owing to its thorough knowledge of coating liquid. 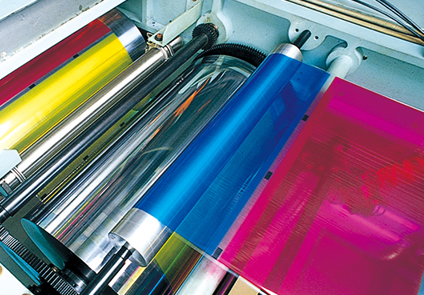 Even if highly functional coating liquid is developed through the use of high-level technology, a product is not valid unless it displays expected performance in relation to film. At Fujicopian, we possess the high-precision coating technology for necessary high precision coating using the necessary amount of coating liquid. We select the coating method and coating conditions that are most appropriate to the coating liquid, and efficiently form the coating film with the desired function. Highly functional layered coating can be created by overlaying multiple coating liquids with different functions, and the ability to create this is due to high-precision coating technology. This coating technology allows for creation of highly functional coating films by overlaying multiple coating of various coating liquids with different functions. This technology provides for a special film coating that can be released with the application of heat or transferred to receptor with the application of pressure.